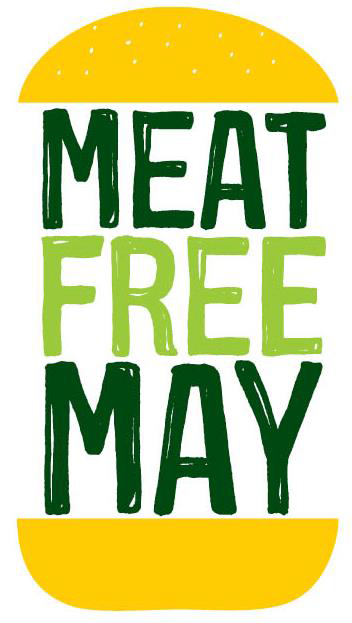 You might have heard of meat-free Mondays – an initiative started by Linda, Paul and Mary McCartney. This is a great start. But could you manage a whole month? Friends of the Earth are challenging you to do just that in May – and it’s not too late to sign up here. Why should you be giving up meat for a month? There are many, many reasons, both for you and the planet! When you sign up to this challenge you will receive a pack with veggie recipes and lots of facts that will convince you that this is an important thing to do (however difficult it may be!). 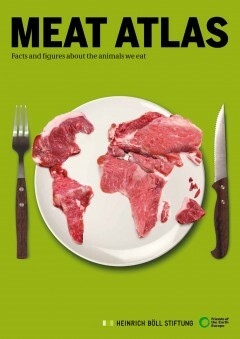 Friends of the Earth have also recently published a Meat Atlas – quite a long read, but even just scanning the contents page will definitely make you re-think your normal eating habits. When considering all that’s involved in creating that steak I love, I was struck by the realisation that what I choose to eat is not just a personal matter – my choices have a wide-reaching impact that I need to be more aware of. For example, did you know that 1 kg of beef requires 6.5 kg of grain, 36 kg of roughage, and 15,500 l of water? 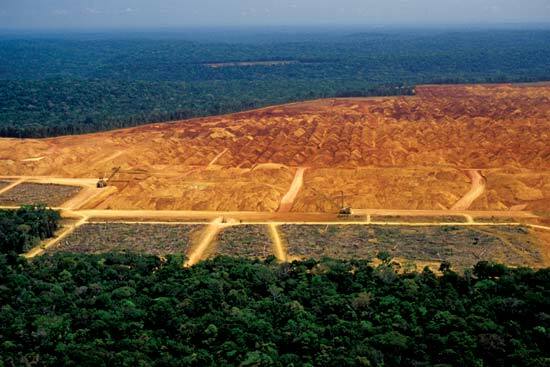 This places severe pressure on scarce resources – including the rainforest – and has many hidden costs. In all measures of environmental impact – climate change, pollution, water use, ocean acidification, eutrophication (making rivers, lakes and seas anoxic and unable to support living things), and others – meat and poultry products are almost always in the top 10 most significant contributors in the EU out of all the things we buy, use or do, with dairy products appearing frequently as well. Land, such as the rainforest in Brazil, is being cleared to enable more cows to be farmed or food for the cow to be grown (e.g. soy). Globally, 70% of agricultural land is used for livestock – and yet there are many people for whom meat is an unimaginable luxury and who don’t have enough of other foods to eat either. Livestock products are responsible for about 40% of our water footprint, with beef and milk production requiring the most water, followed by pigs, poultry and then sheep. And don’t get me started on the methane that cows produce…! Even if you don’t care about what is happening around the world (really?!) what about the impact of eating meat on you – excessive meat consumption, especially processed meat, is proven to put people at risk from heart disease, cancers, strokes and the other health risks associated with obesity, such as diabetes. If people in the UK ate meat no more than 3 times a week, it could save 45,000 lives and £1.2 billion a year for the NHS. This wheel is from the recent Zero Carbon Britain report. 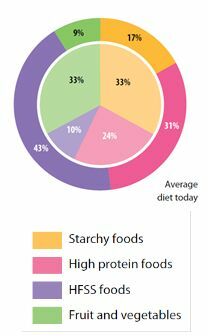 It shows our current average diet (the outside wheel) compared to a balanced and nutritious diet (the inner wheel). Clearly we should be reducing our intake of both high protein foods (i.e. meat and dairy) and especially foods high in fats, sugar and salt (HFSS). Even if you feel a whole month with no meat or fish is too much of a challenge, a recent article in the Guardian urges us to halve our consumption. They call it demitarian, otherwise known as part-time carnivore. My husband and I are not strictly vegetarians (other than in May! ), but are increasingly cutting down the amount of meat we eat, and when we do treat ourselves, we make sure that it is from “happy” animals / fish (i.e. organic, free range, sustainably sourced etc) – quality over quantity. We are also loving experimenting with new ingredients, and often don’t notice the fact that a dish is meat-free. Win-win! Why don’t you try it too? How many hits so far?